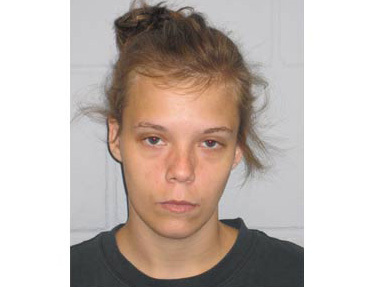 A 22-year-old Trempealeau County woman has been arrested on first degree reckless homicide charges, after police say she fatally drugged her boyfriend’s young daughter. Amanda Butts of Fairchild is accused of giving 22-month-old Alexis Behlke a mix of allergy medication and a prescription pain killer while babysitting the child in June. According to the criminal complaint, the girl was taken to an Osseo hospital on June 22nd, where she was pronounced dead. The child had bruises and cuts on her face, which Butts claimed were the result of trying to remove a peanut butter sandwich from the girl’s mouth. A medical examiner’s report later showed the girl died from the combined effects of Oxycodone, an antihistamine, and an antidepressant. Police say Butts initially told investigators she only gave the toddler Children’s Tylenol, but later admitted to giving the girl one of her prescription Oxycodone pills. She denied giving her other drugs though. Butts also said the bruises and cuts were the result of trying to perform CPR. Butts is currently being held on a $200,000 cash bond. She’s due back in court next week.